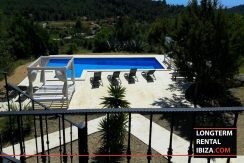 SAN JOSEP-ANNUAL RENTAL. 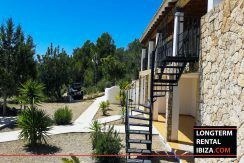 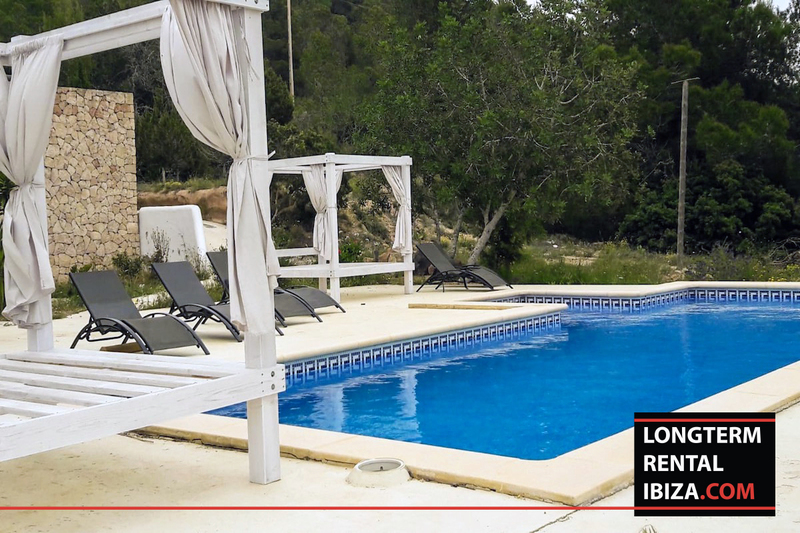 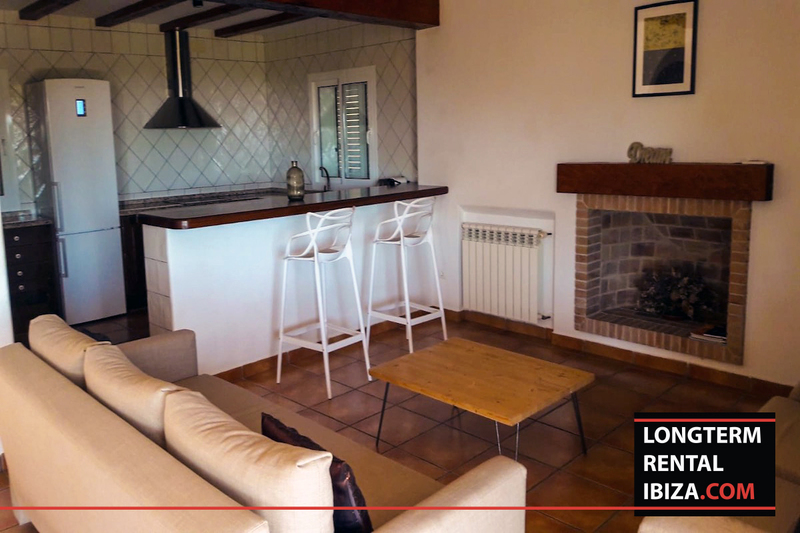 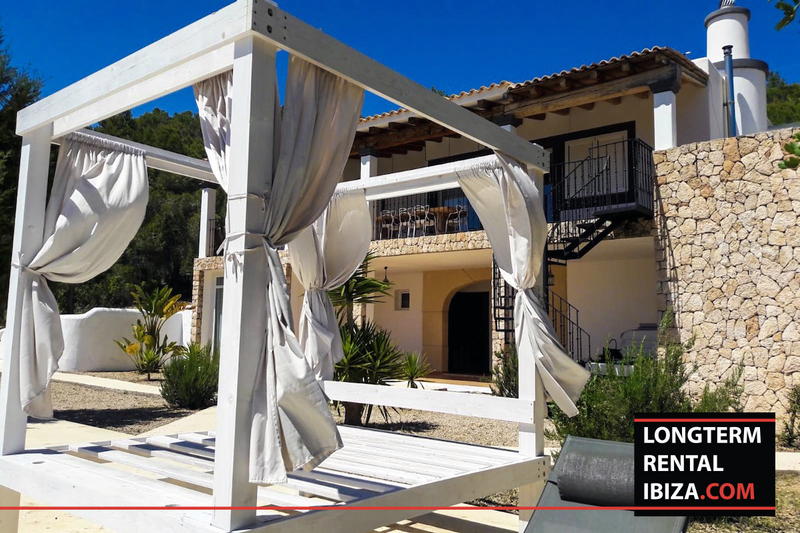 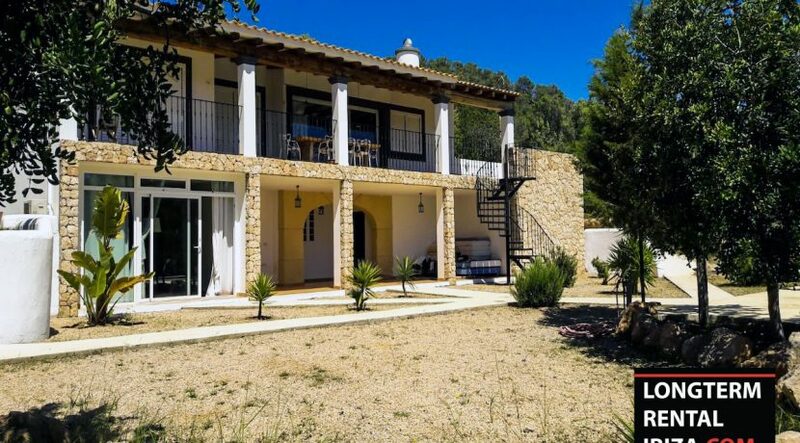 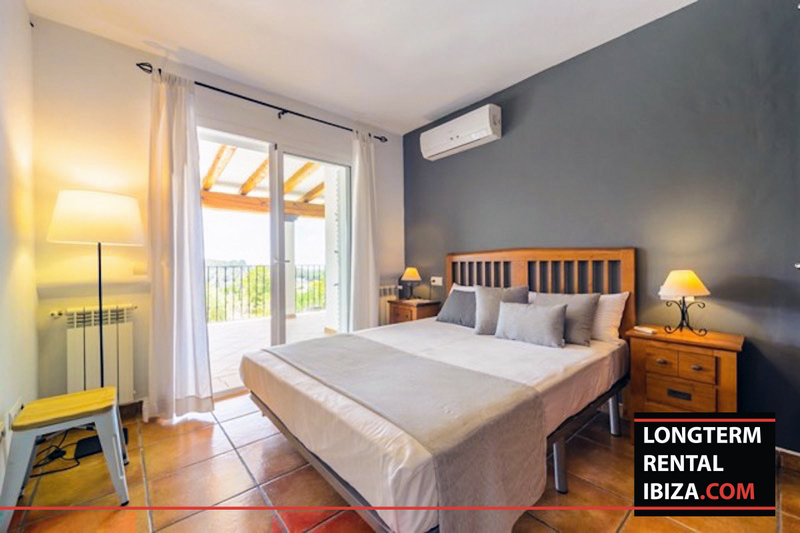 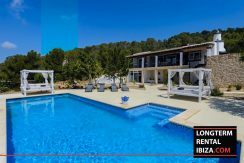 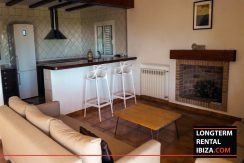 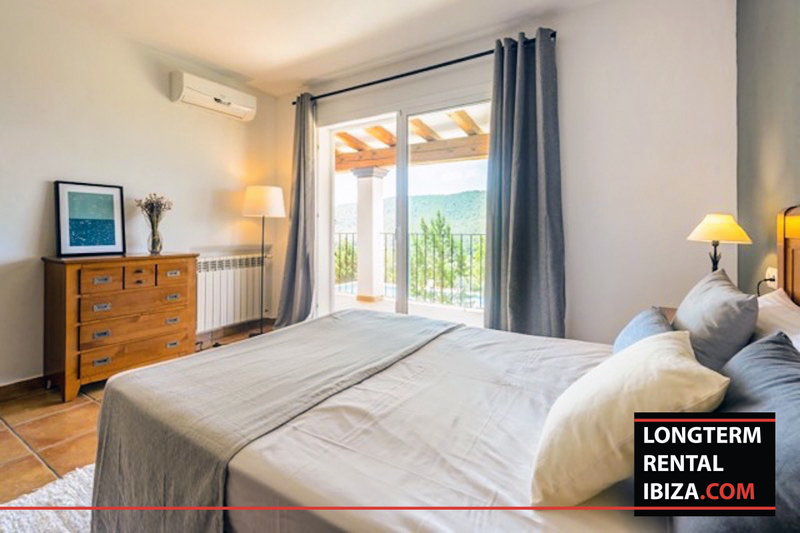 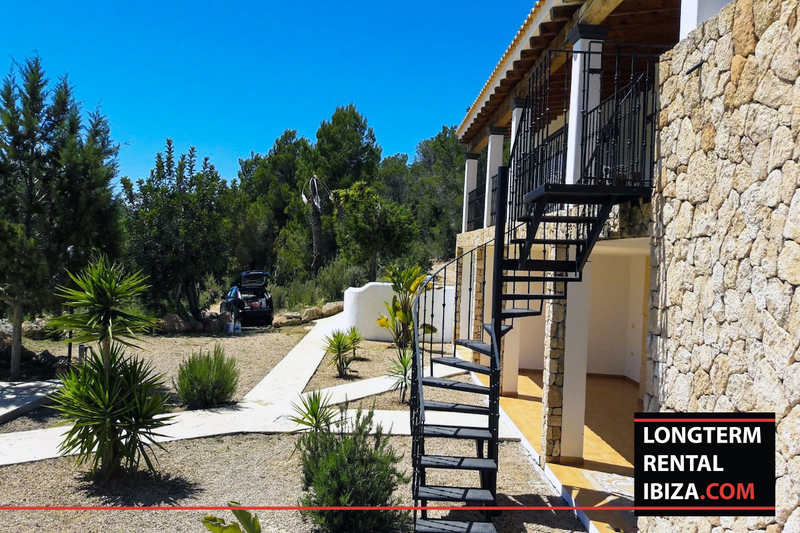 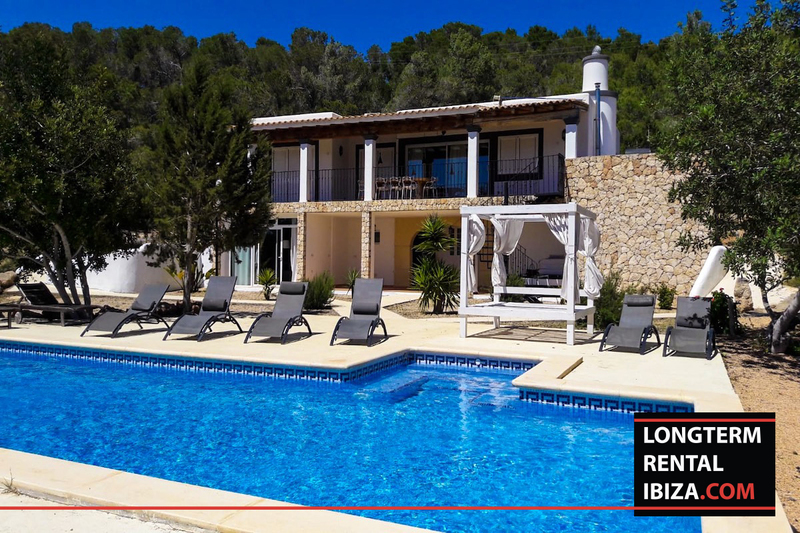 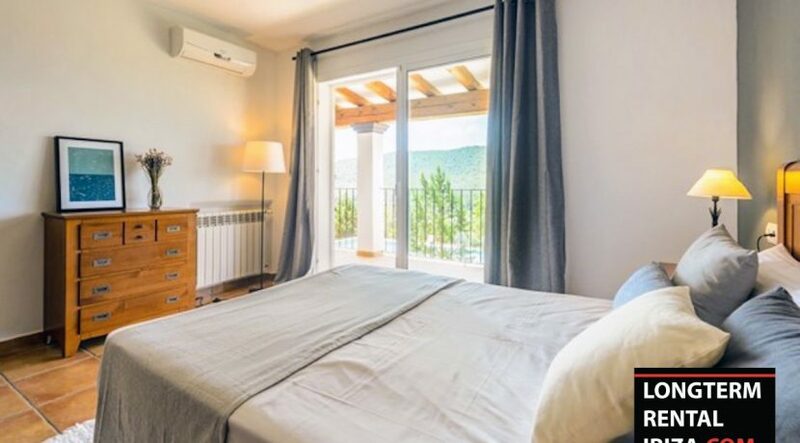 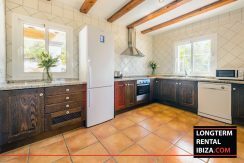 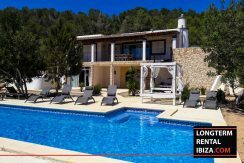 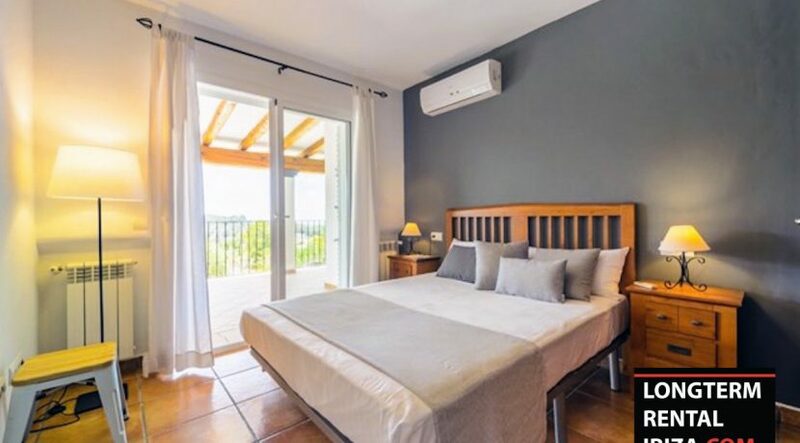 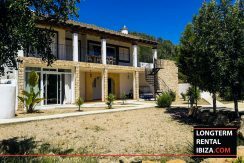 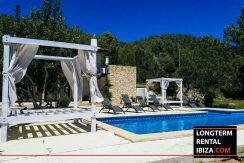 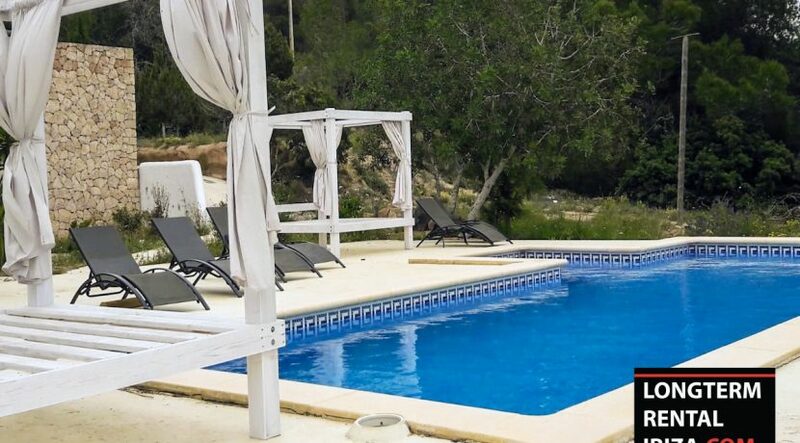 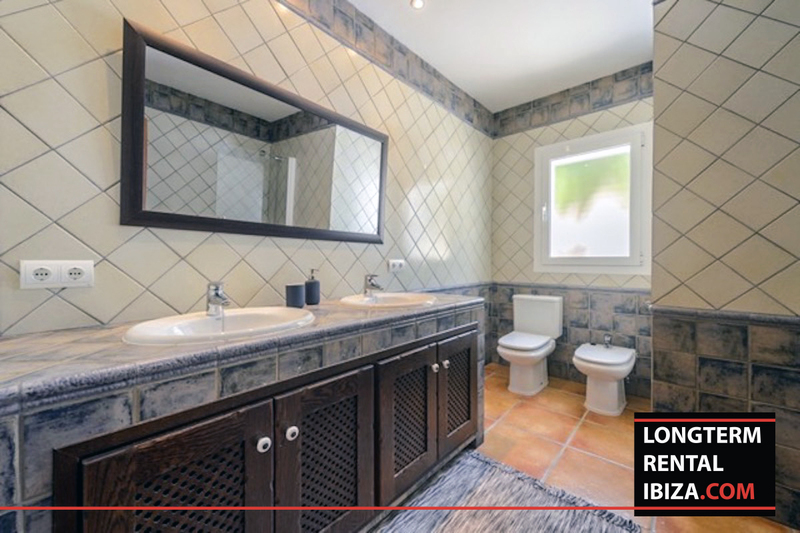 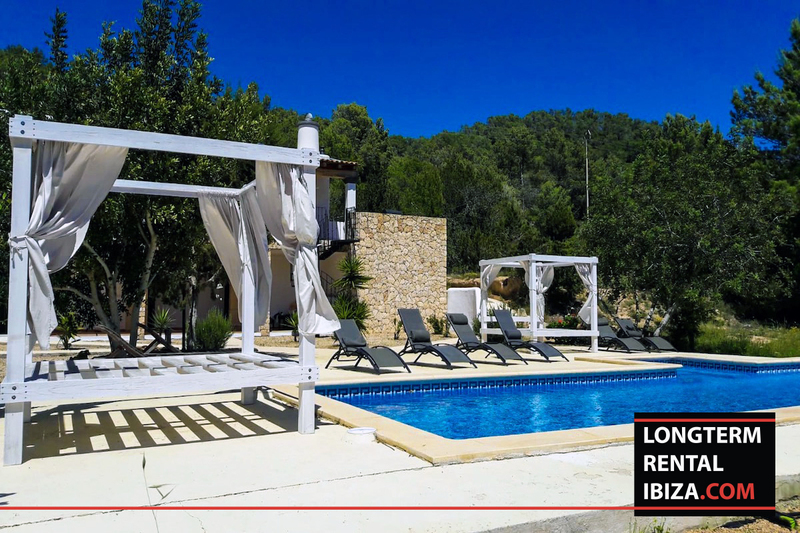 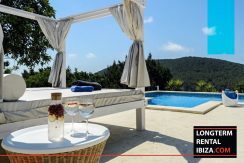 This very spacious villa is located in the countryside of San Jose and few minutes drive from the beautiful beaches of Es Cubells area. 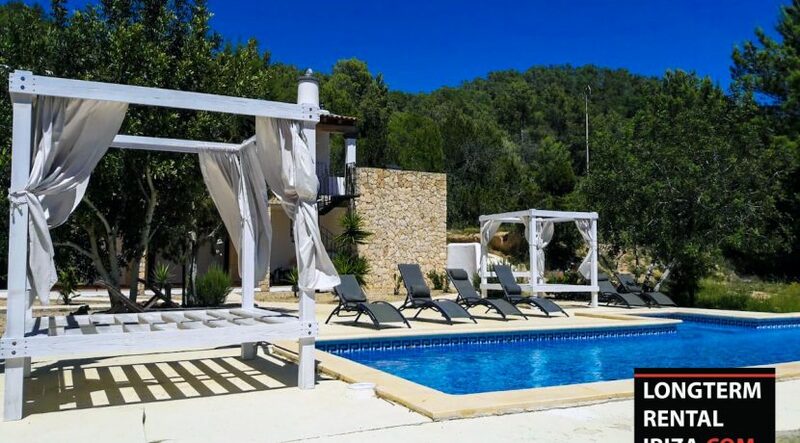 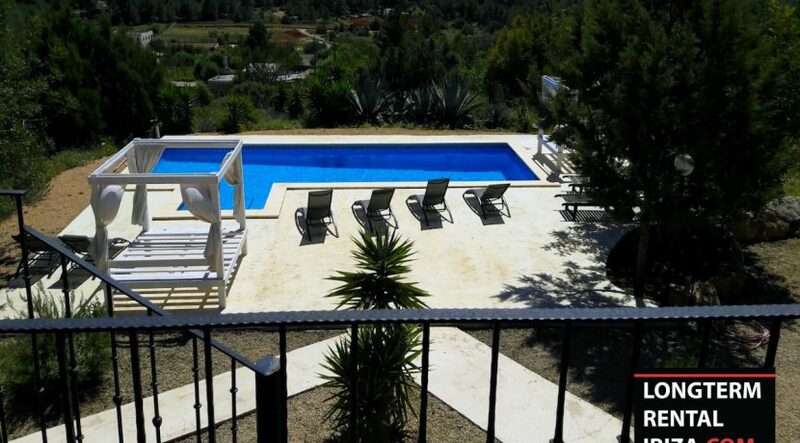 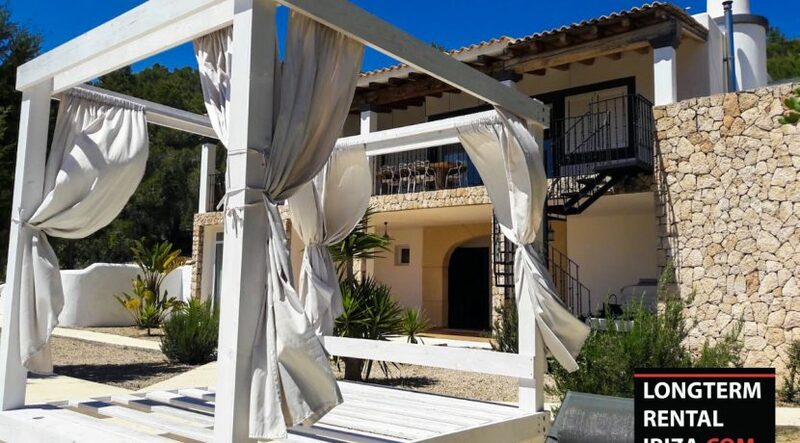 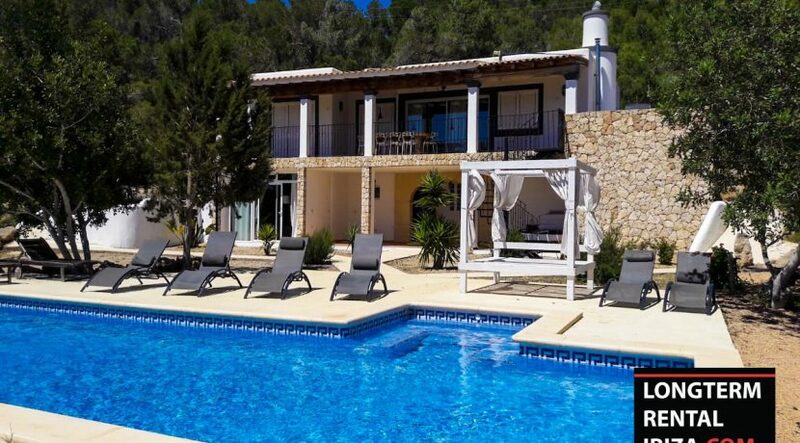 This beautiful villa has a land of 35 000m2, which gives you a lot of privacy and tranquility. 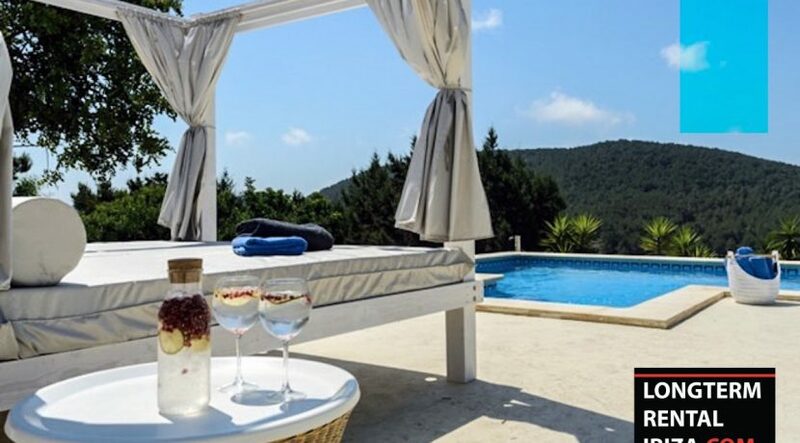 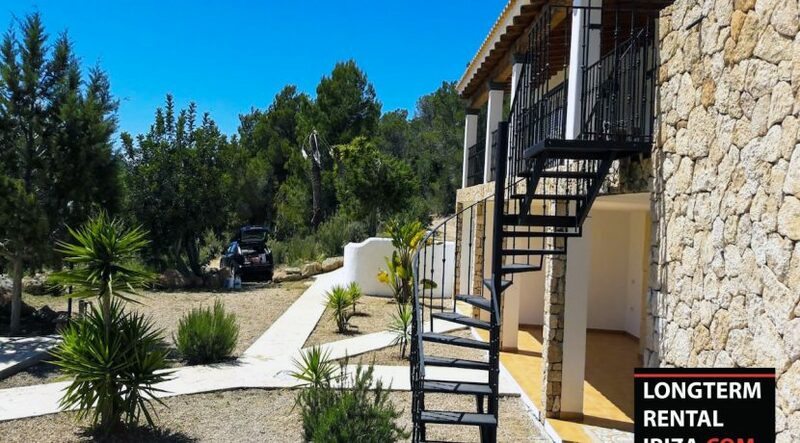 The villa is surrounded by nature, wildflowers and mature trees. 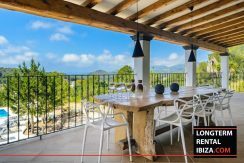 This 2 story home has a vast terrace with swimming pool on the main level and a large balcony on the upper floor with a dining area and an outdoor BBQ station. 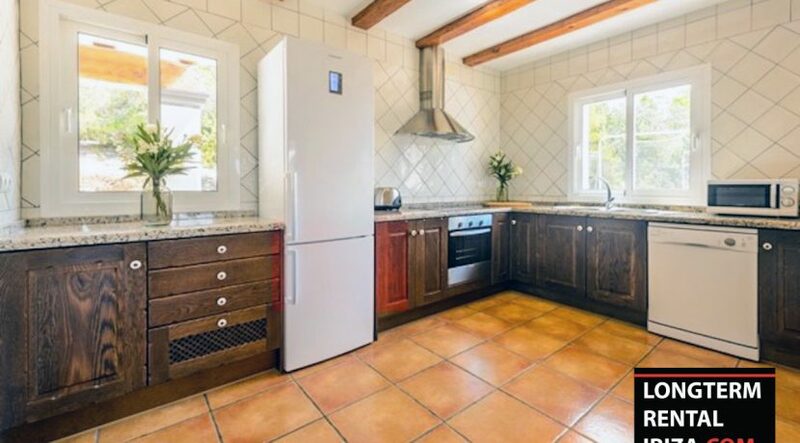 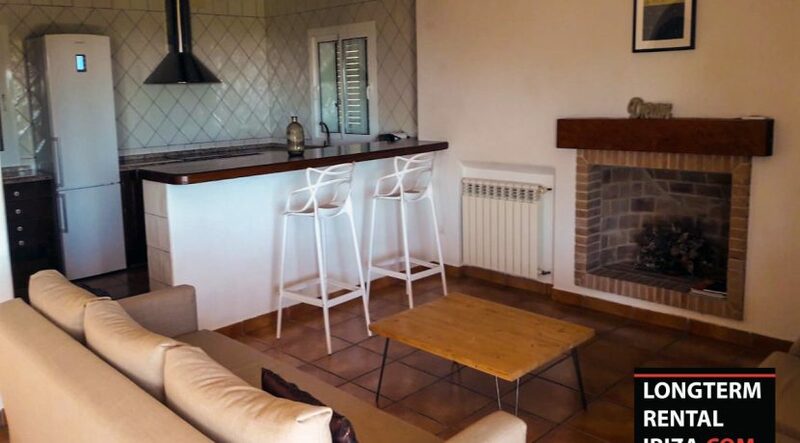 The country home is equipped with the central heating system and air conditioning. 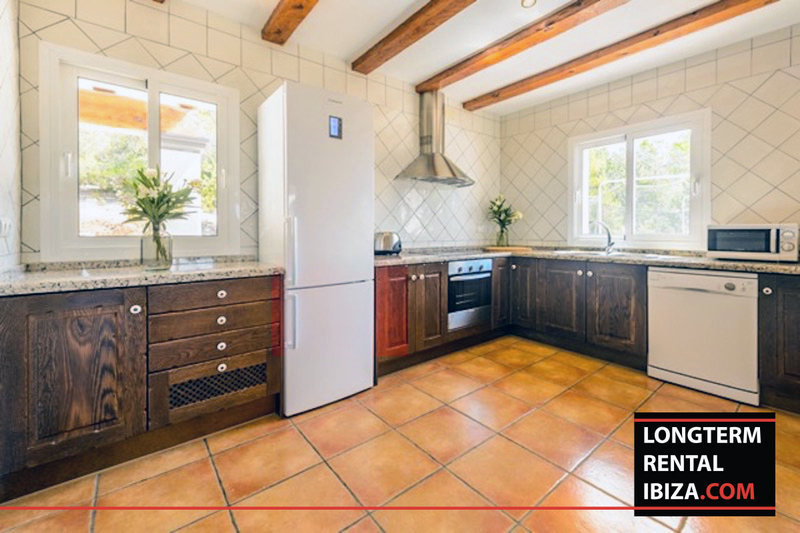 On the main floor, you will find the fully equipped kitchen with dishwasher, oven, quality granite counters plus, a lunch counter section. 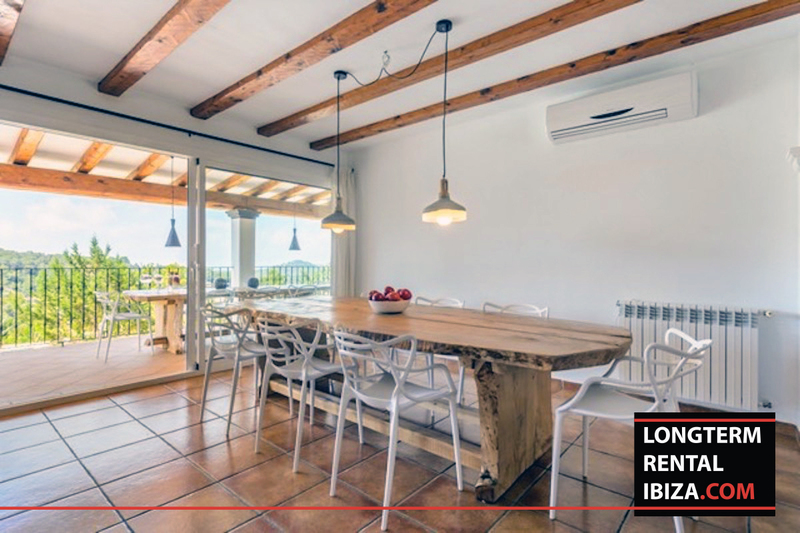 All together and very accessible from one to the other, the dining room and living room are an opened concept plan with the kitchen. 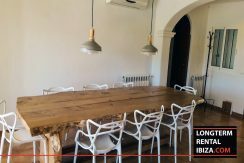 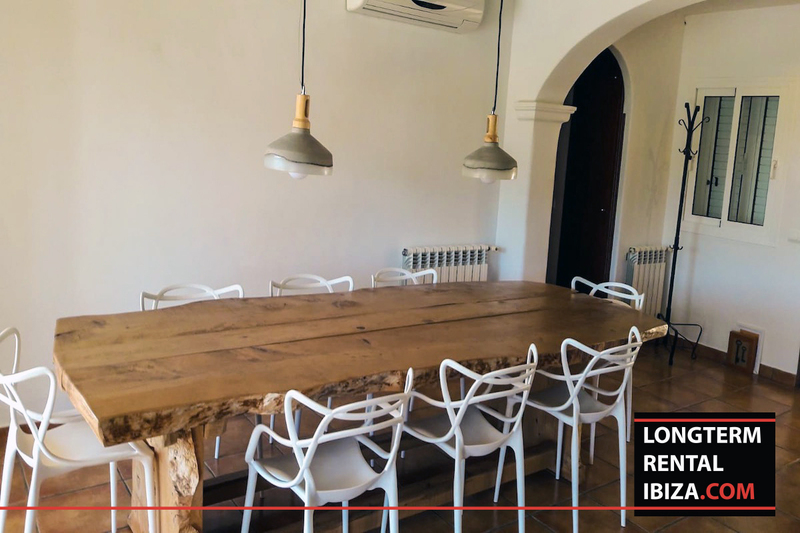 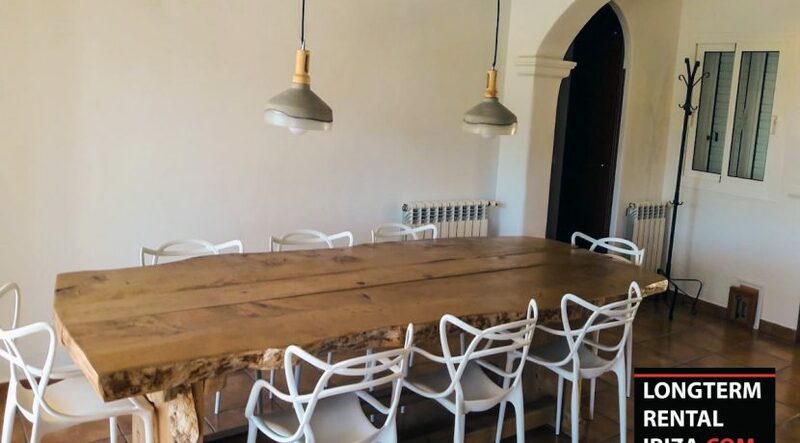 The dining area has a table sitting up to 10 persons very comfortably and the living room where can fit 2 big couches is embellished by a typical bricked wall encased fireplace. 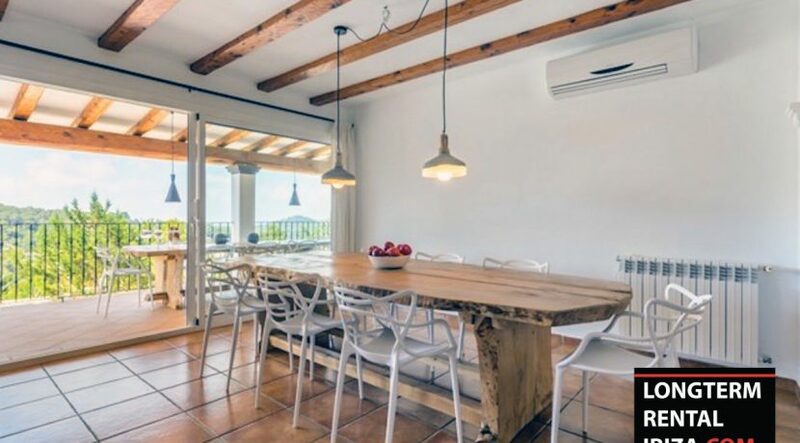 This entire room has a nice terracotta floor and rustic wood beams on the white colored ceiling. The villa has a total of 6 bedrooms located throughout the 2 levels. 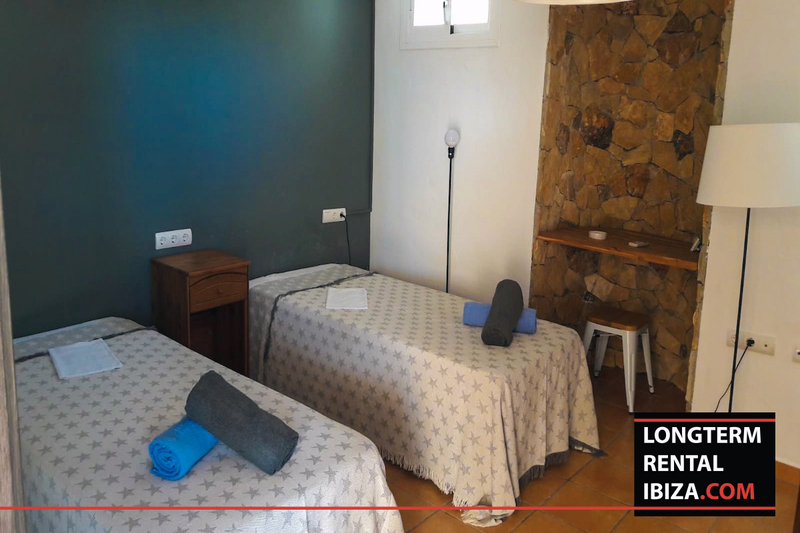 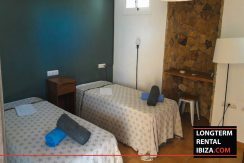 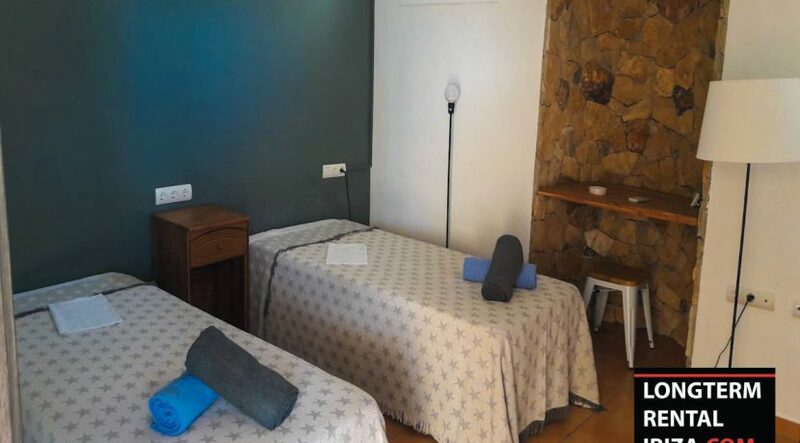 Each bedroom is very spacious some more than the others, with an extra sitting area. 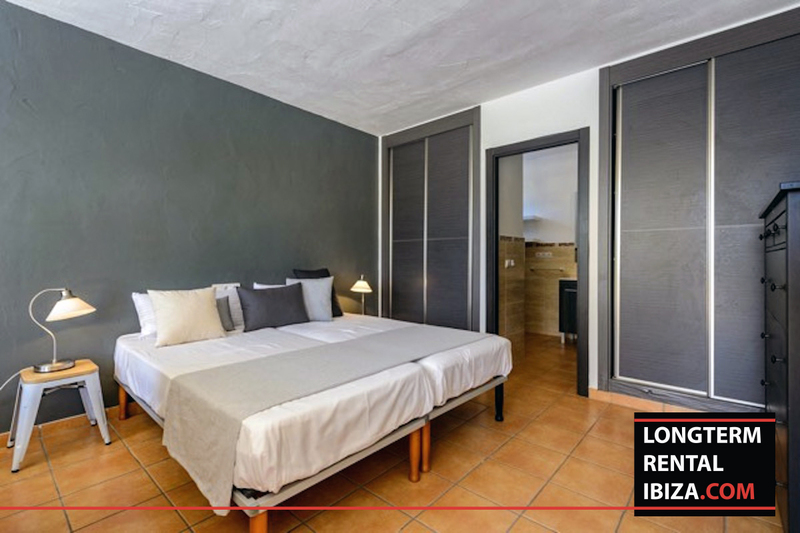 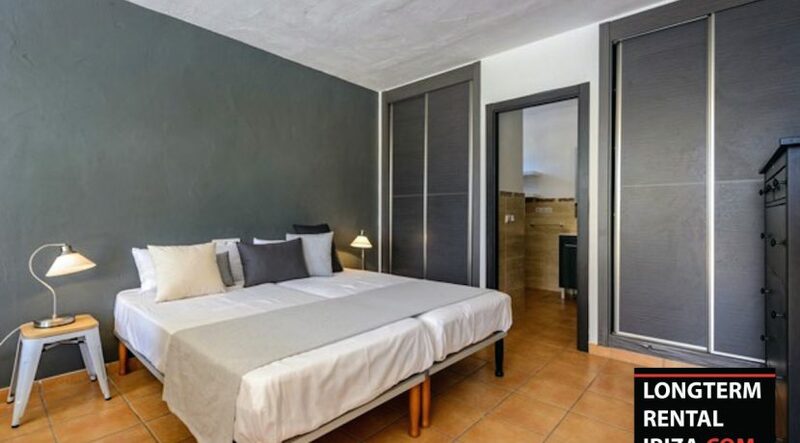 All the bedrooms have direct access to either the outdoor terrace or the second-floor balcony. 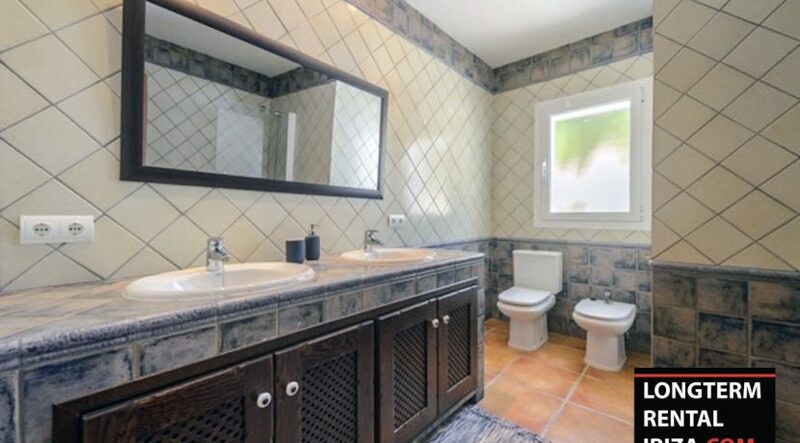 The villa also contains the equal number of bathrooms, mixed with double sink vanities, showers, and bathtubs. 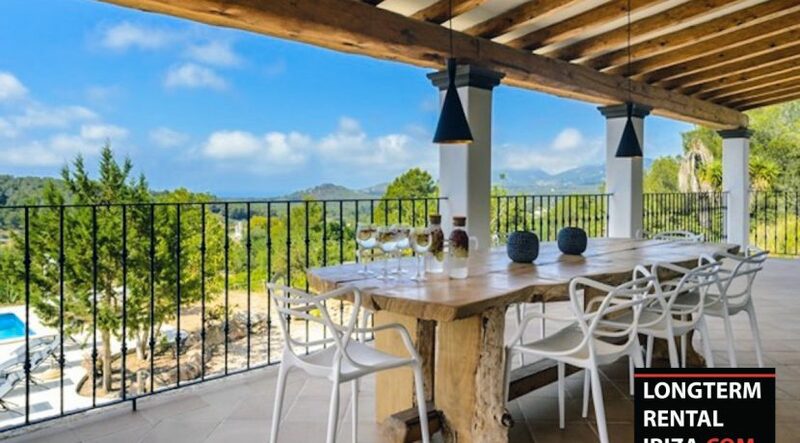 The outdoor space has everything to make your days more enjoyable. A beautiful pool with integrated lights for night swims. 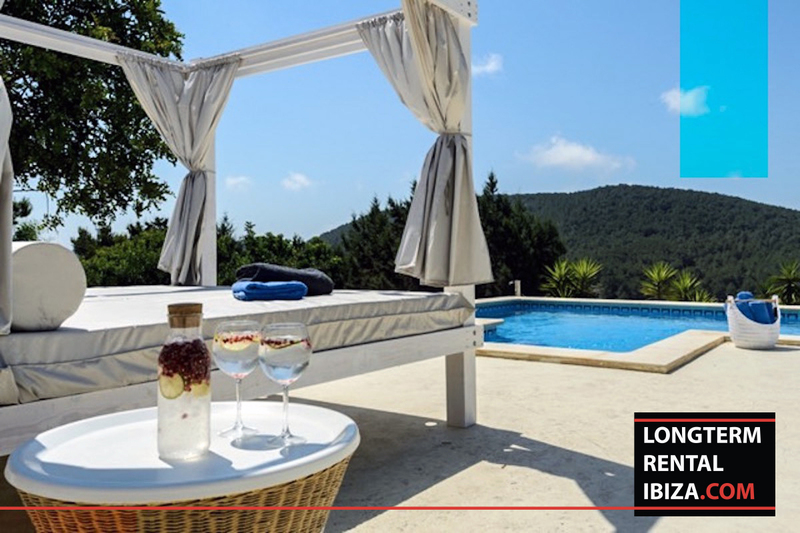 An immense terrace surrounding the pool fully furnished with long chairs and Balinese sun beds, perfect to relax and soak up the sun. 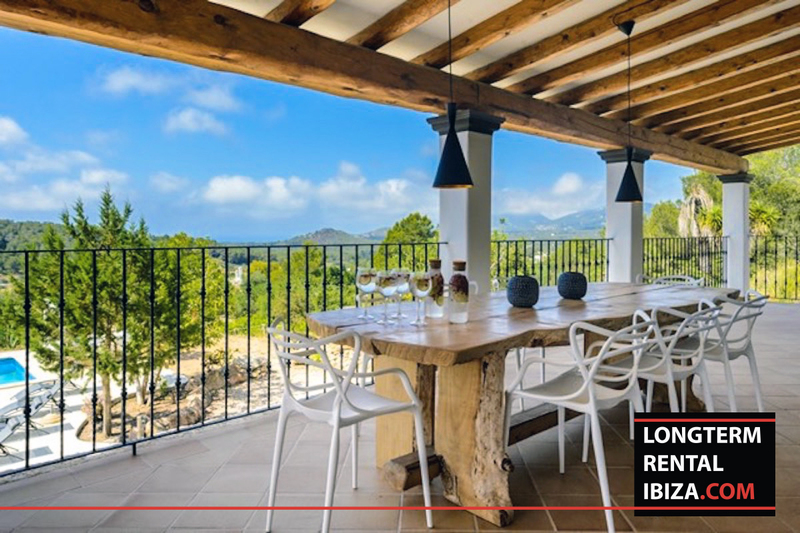 The balcony on the upper level does not only offering a great dining area and BBQ space but also a spectacular view of the sea and nature. 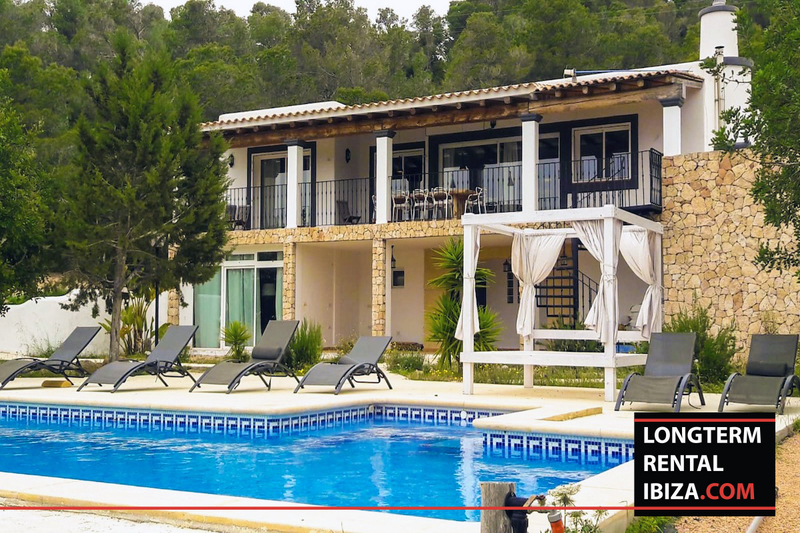 This villa is spacious and modern with a charming rustic touch.